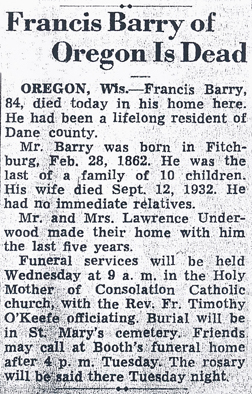 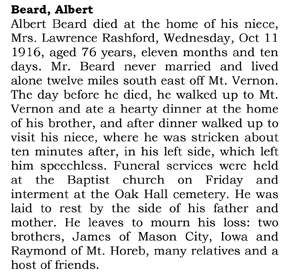 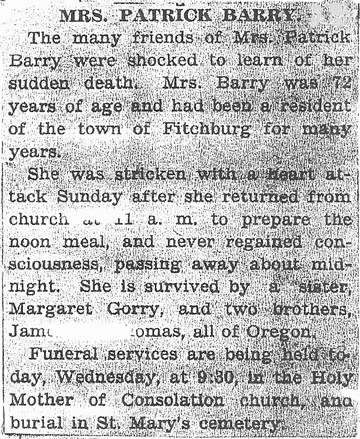 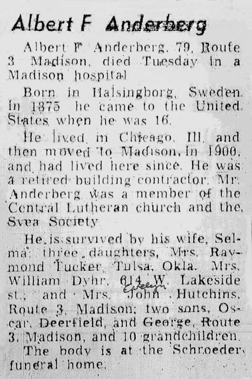 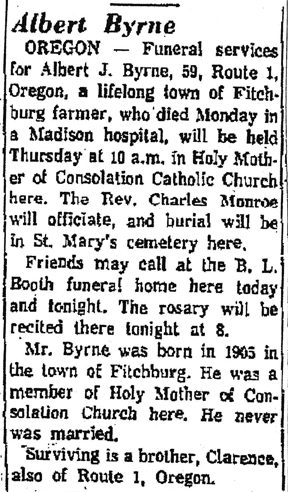 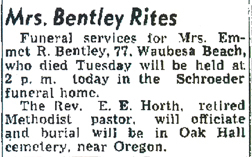 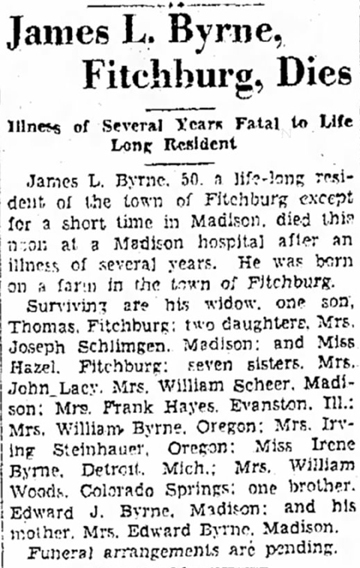 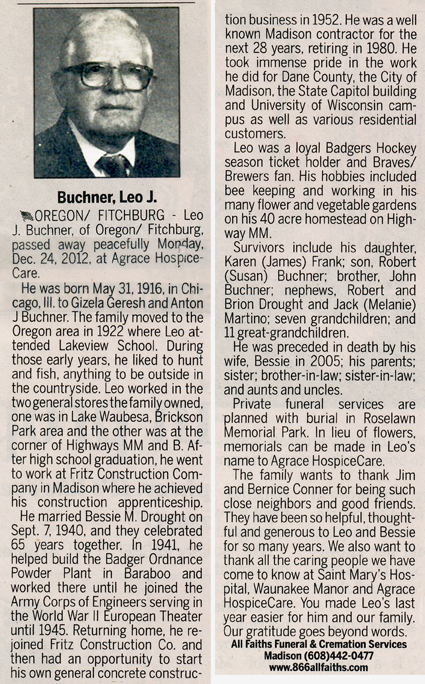 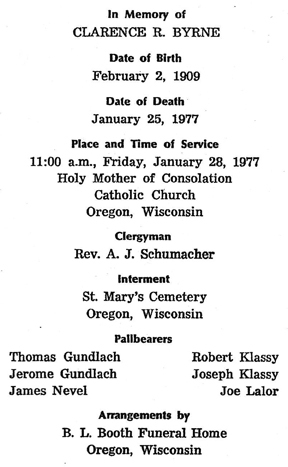 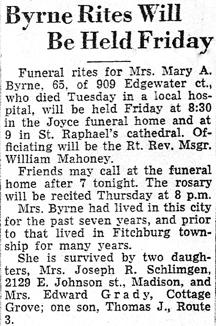 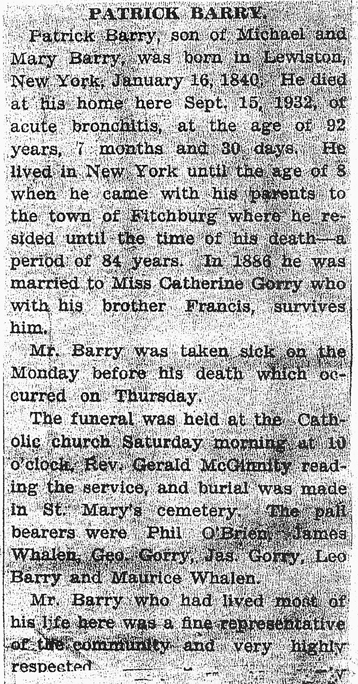 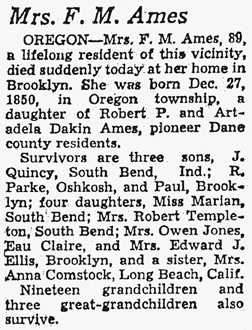 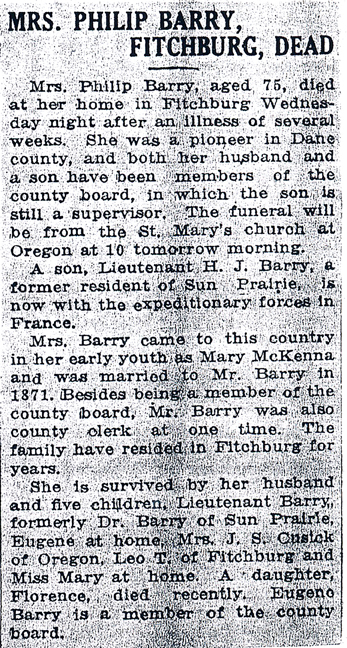 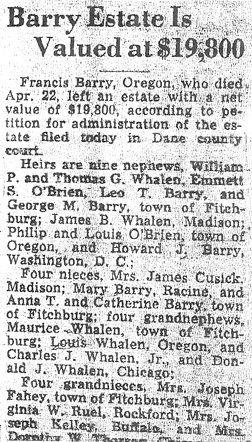 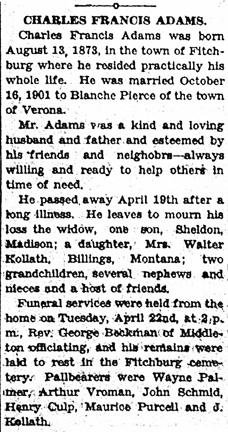 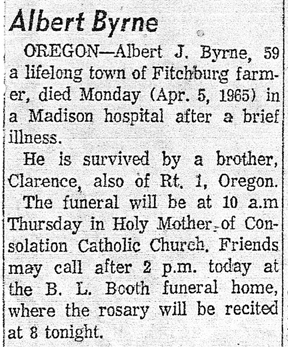 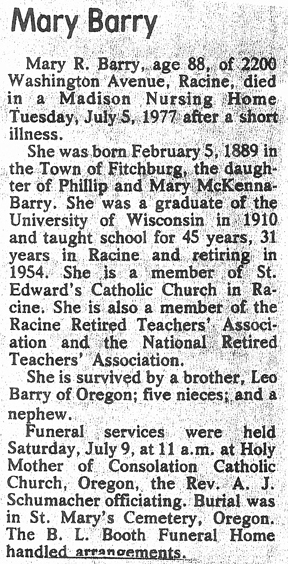 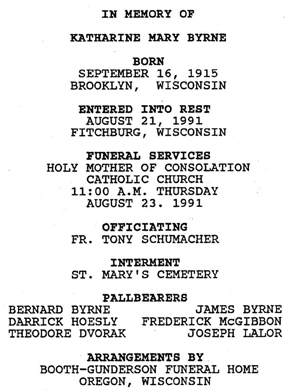 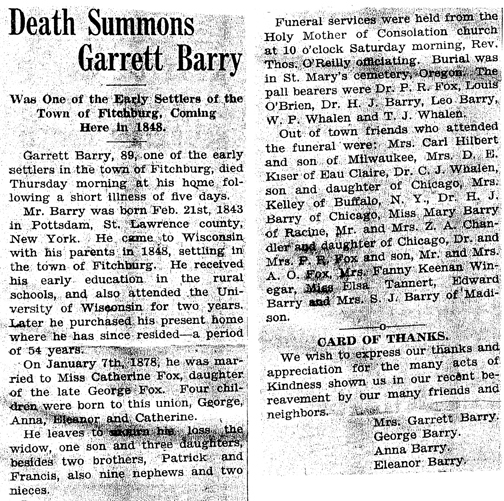 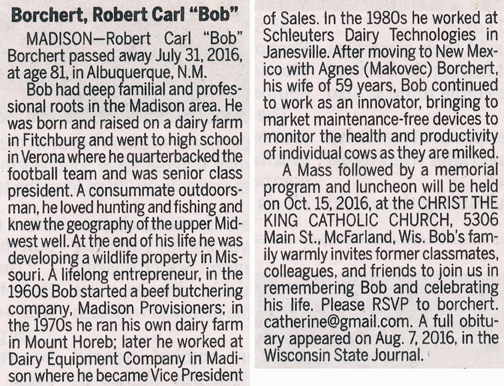 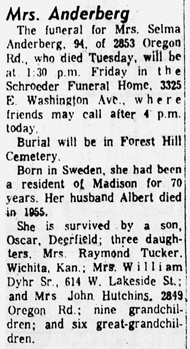 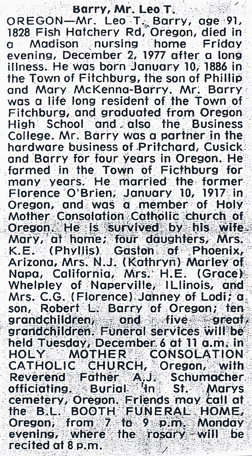 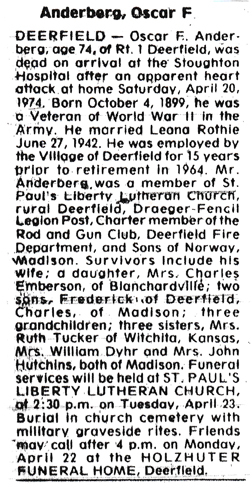 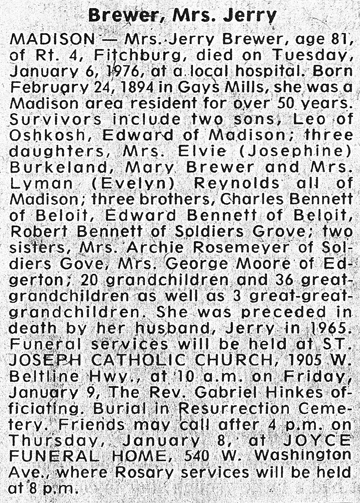 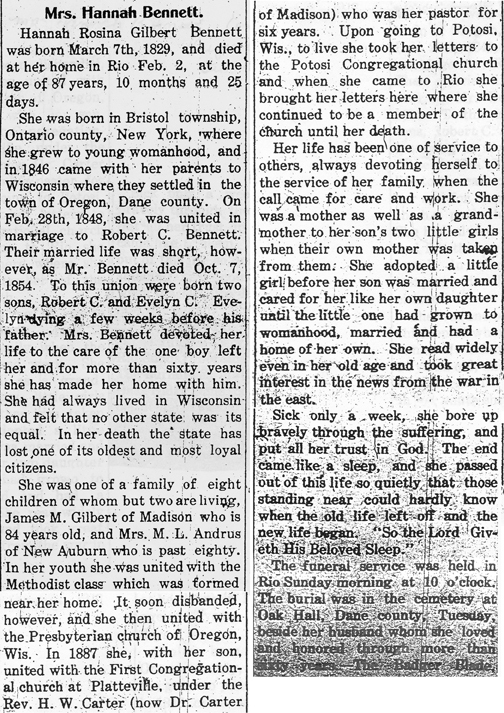 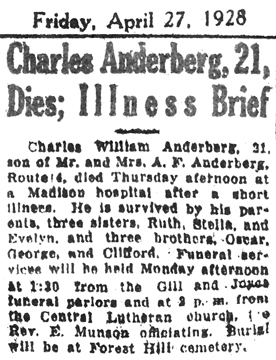 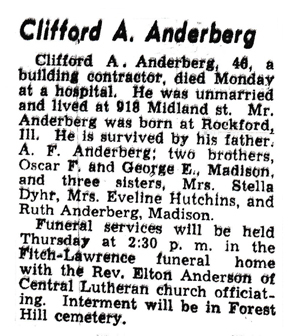 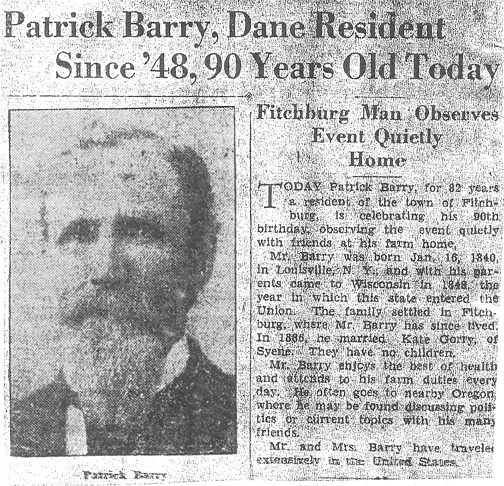 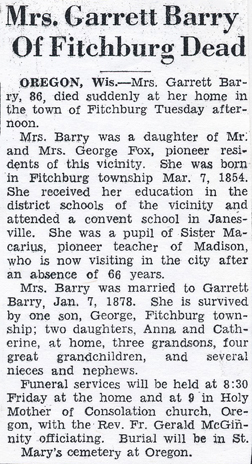 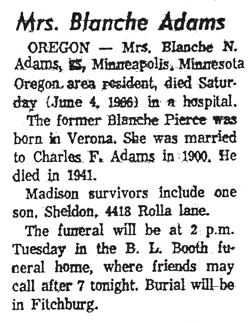 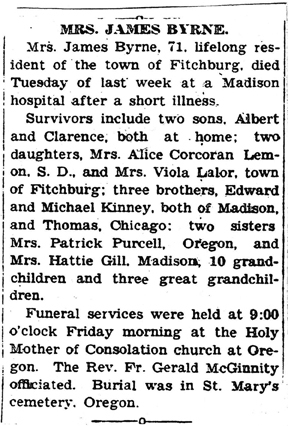 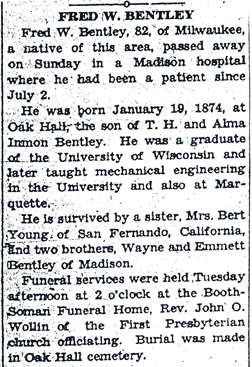 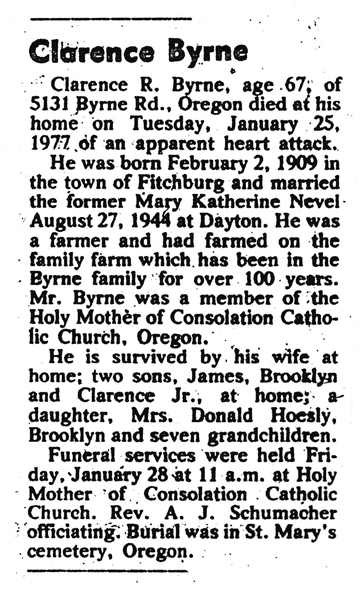 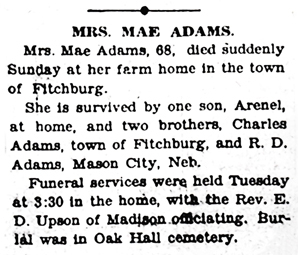 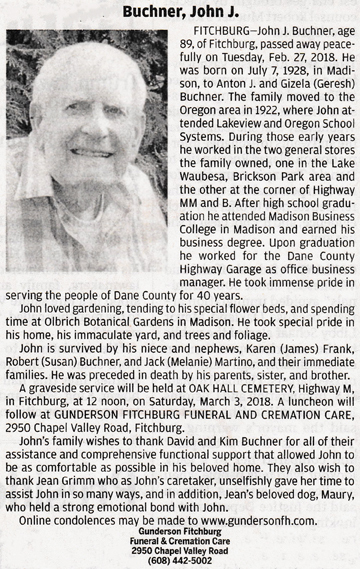 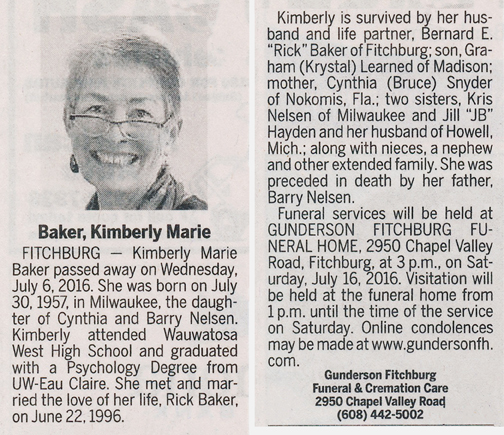 The list below contains names of people associated with Fitchburg, Wisconsin whose last names begin with A or B for which we have obituaries. 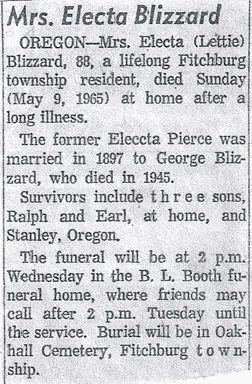 After each name there may be Obit and/or Cemetery in blue type. 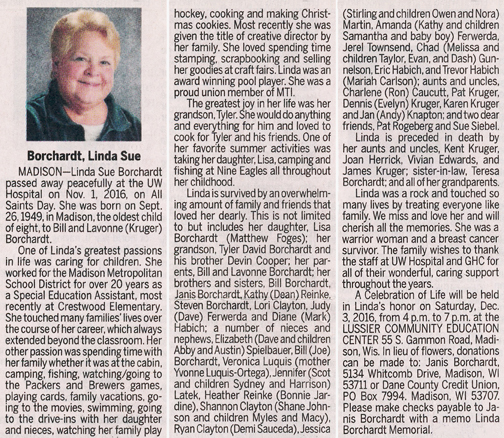 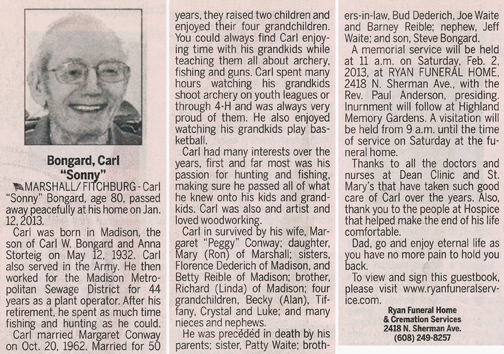 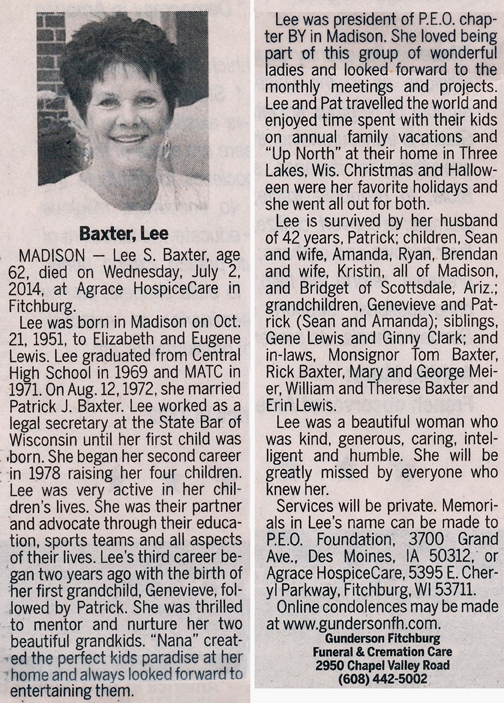 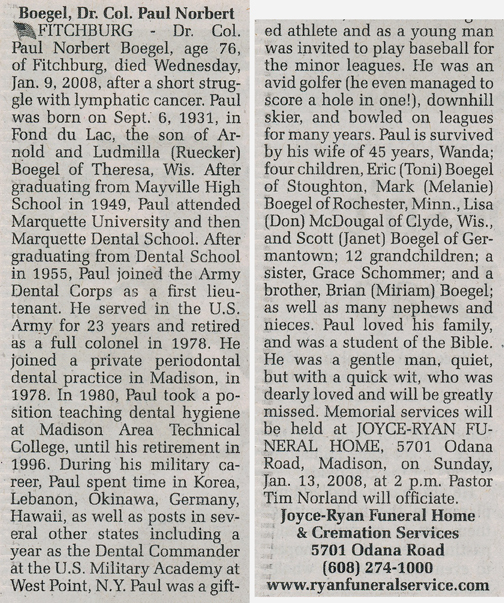 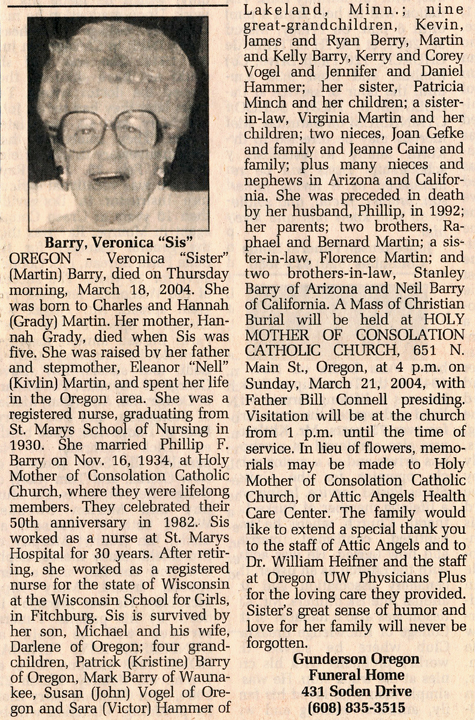 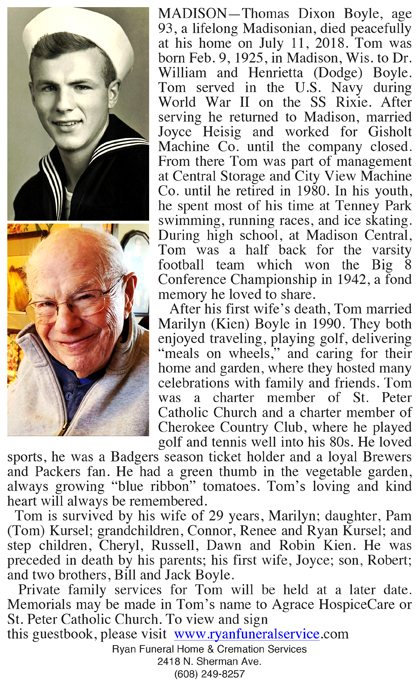 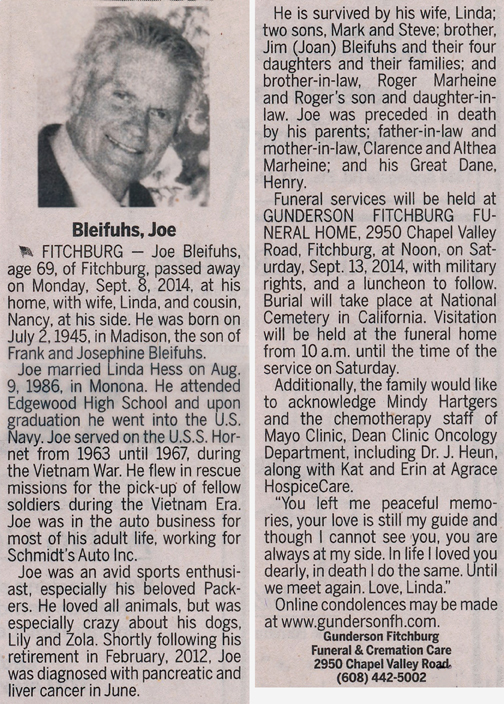 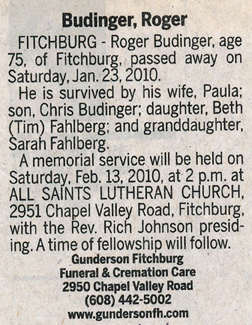 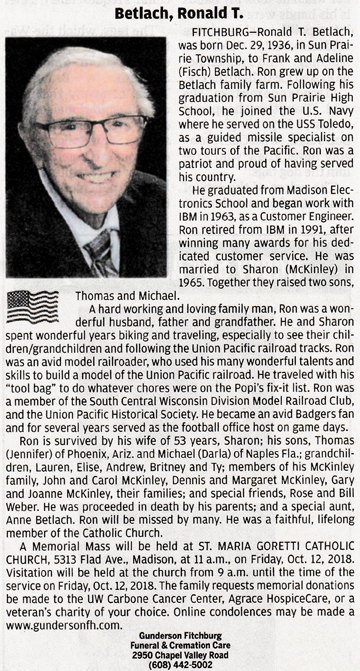 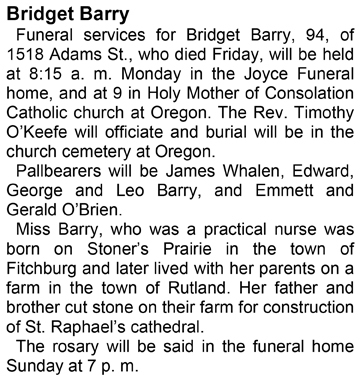 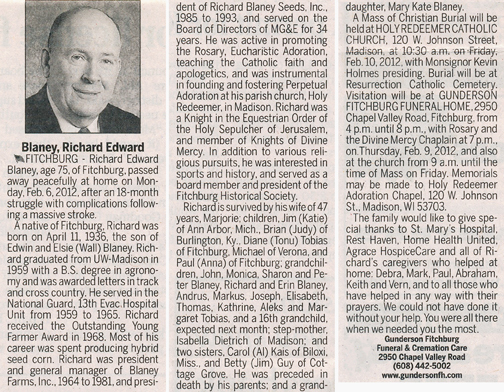 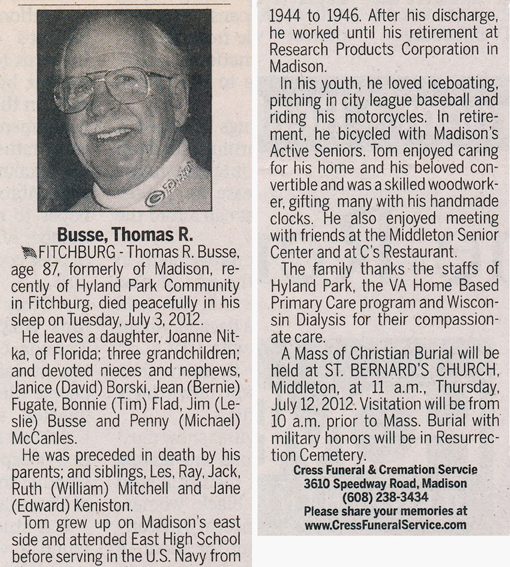 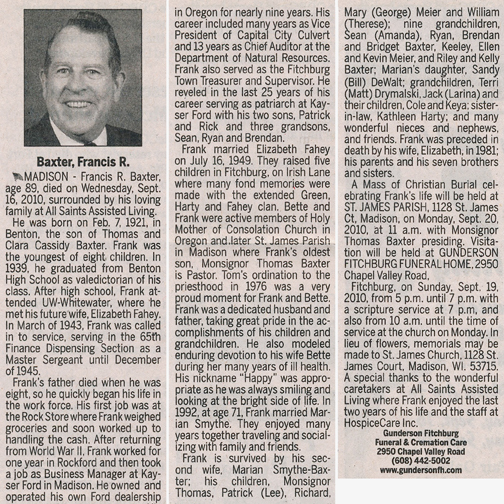 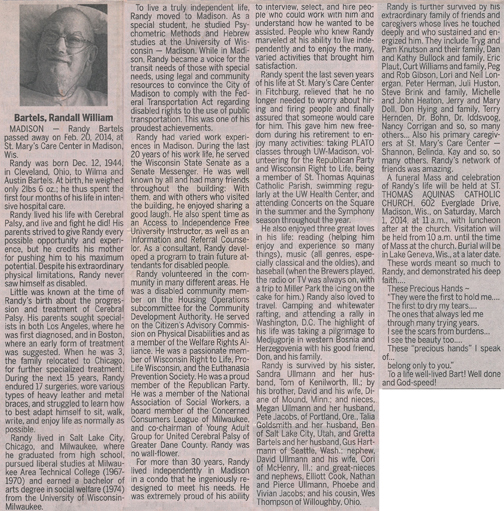 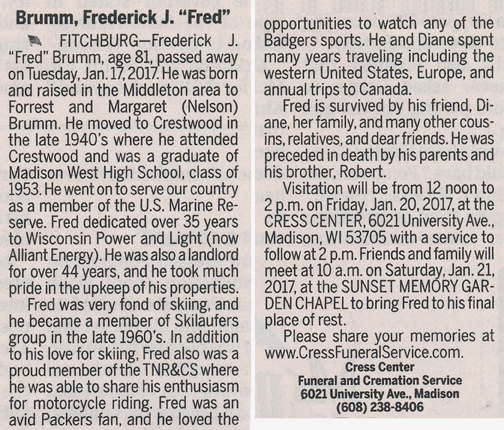 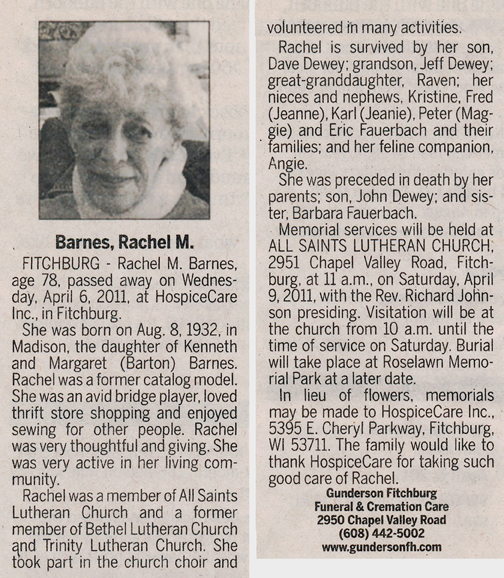 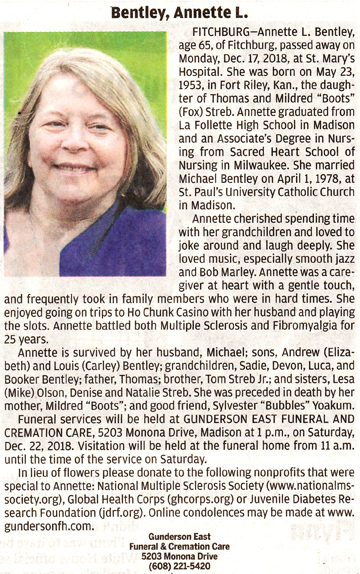 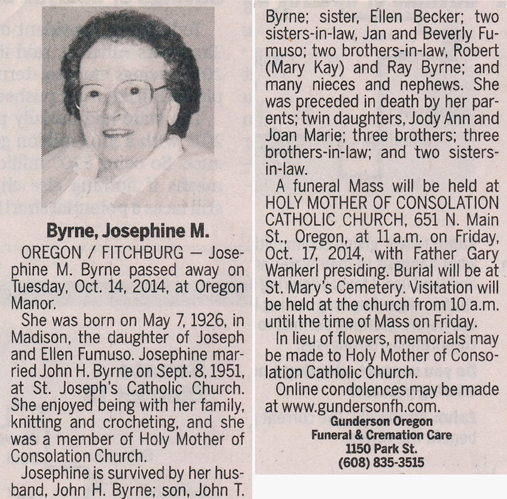 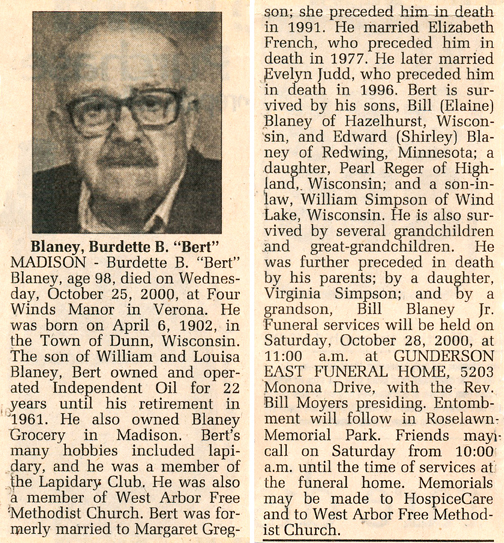 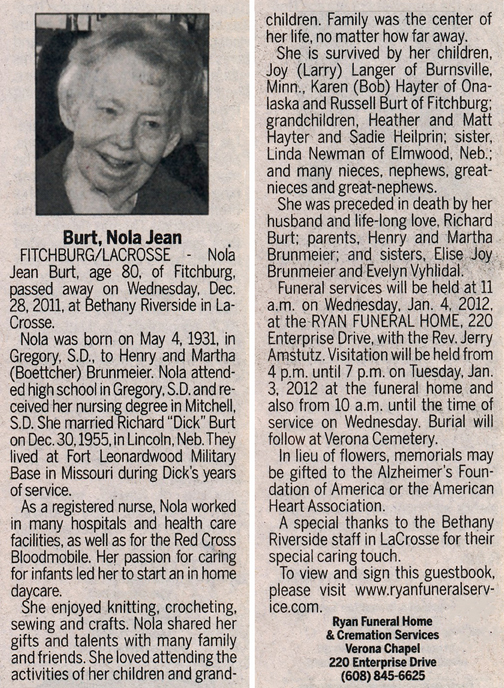 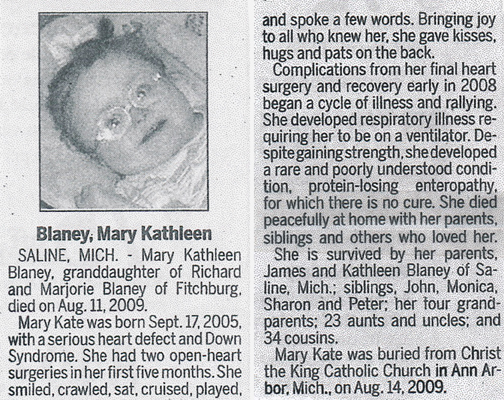 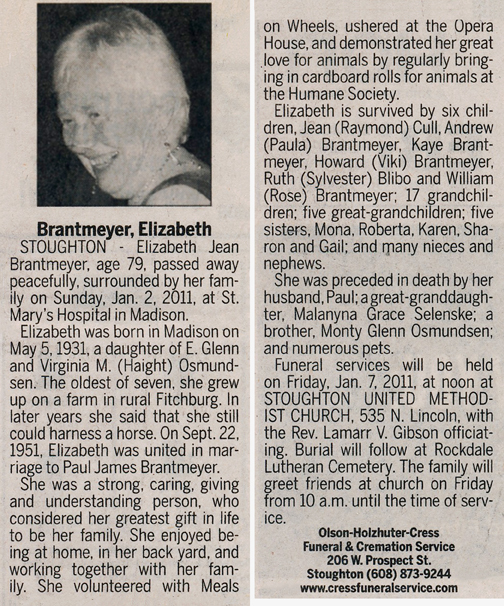 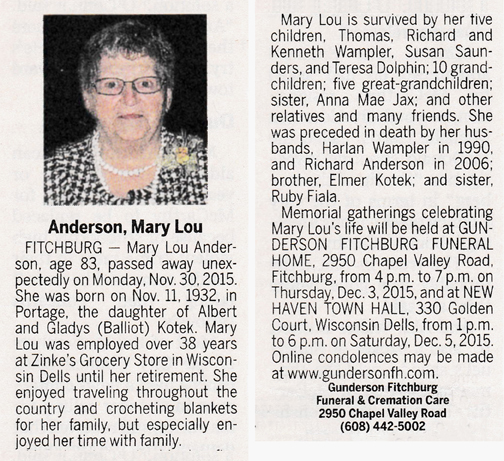 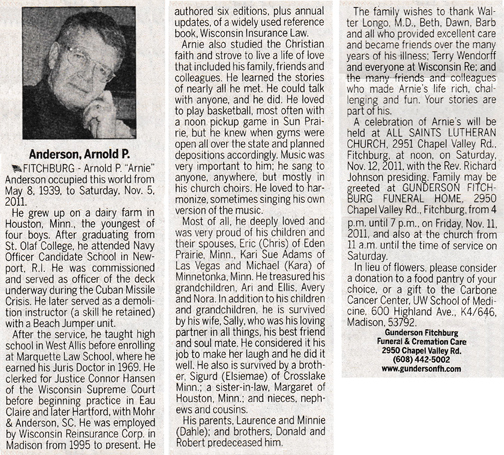 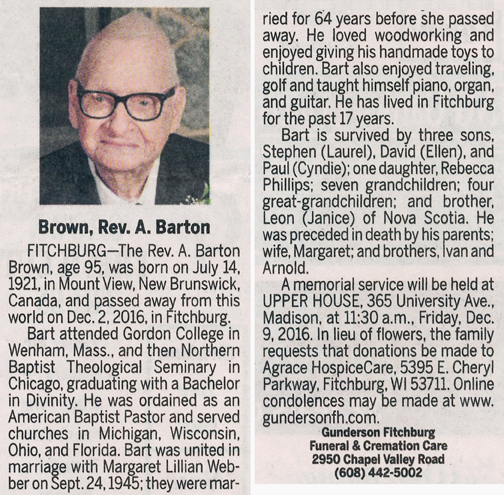 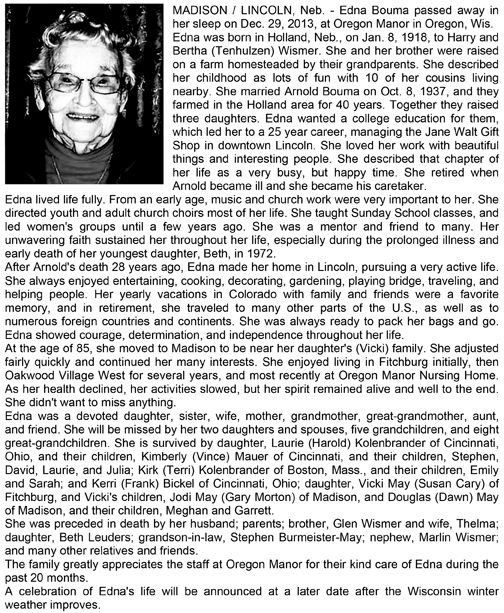 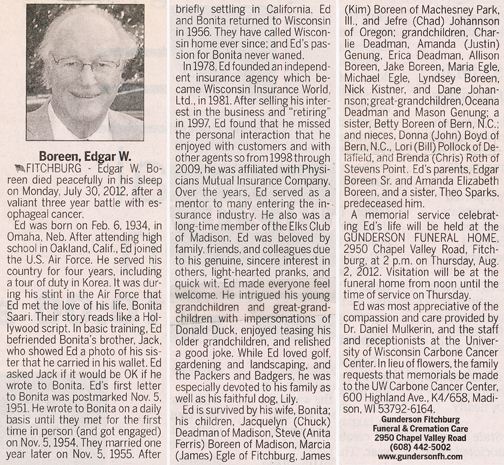 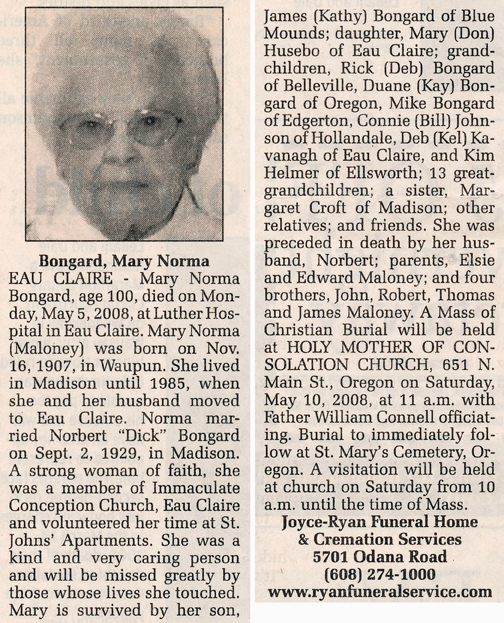 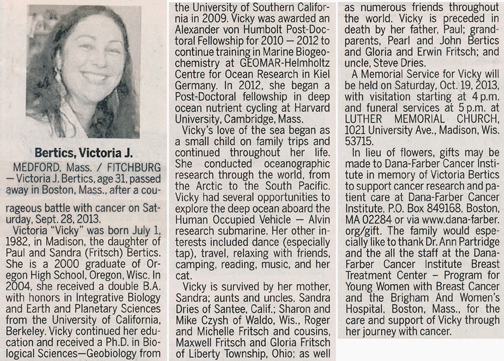 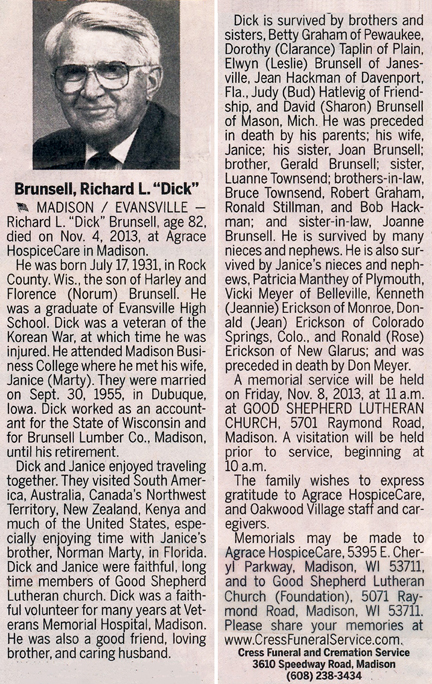 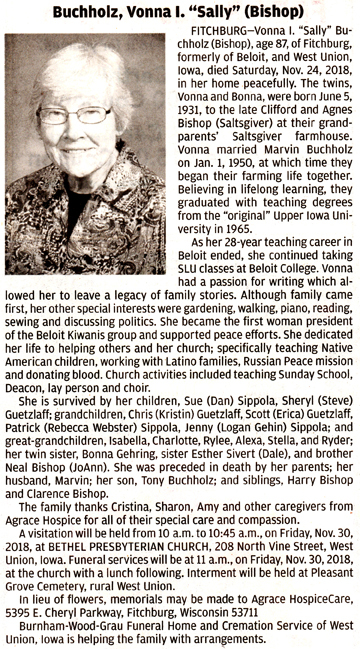 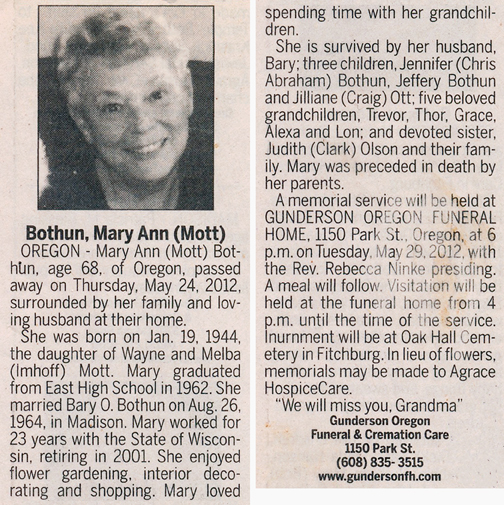 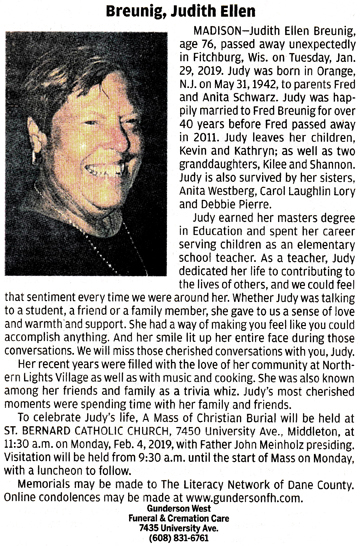 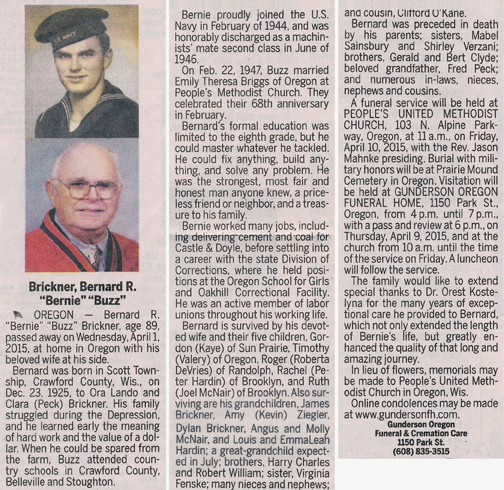 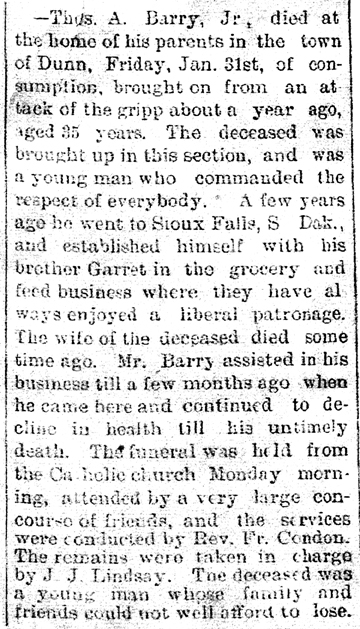 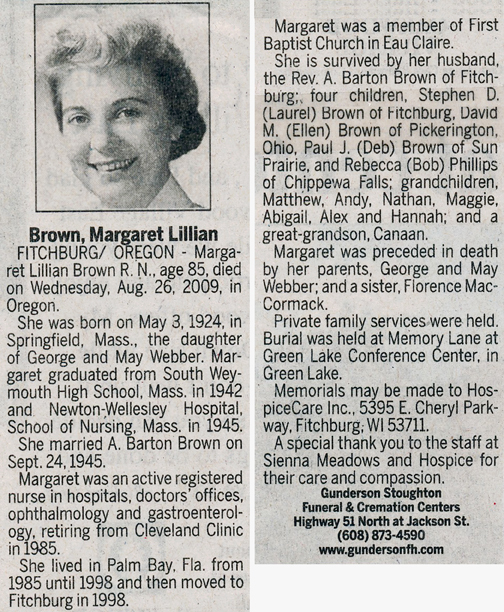 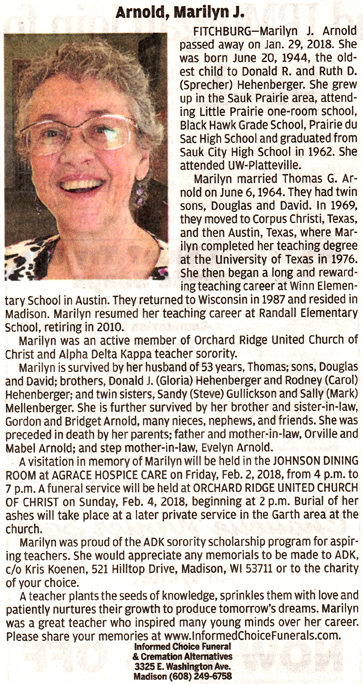 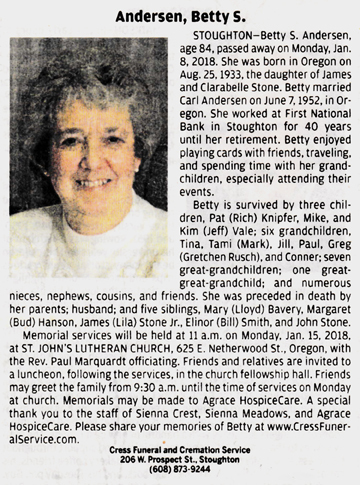 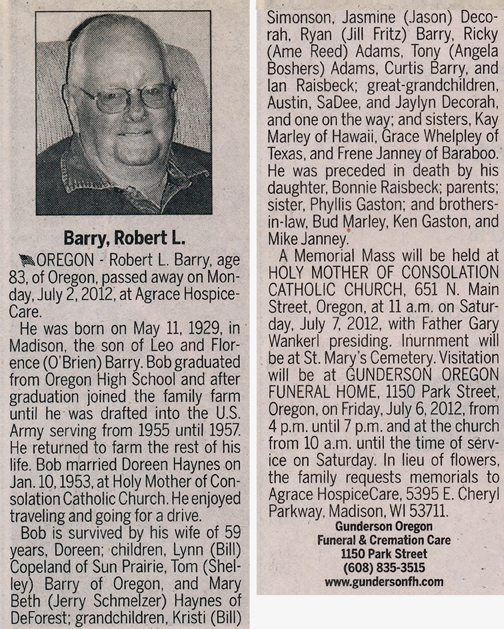 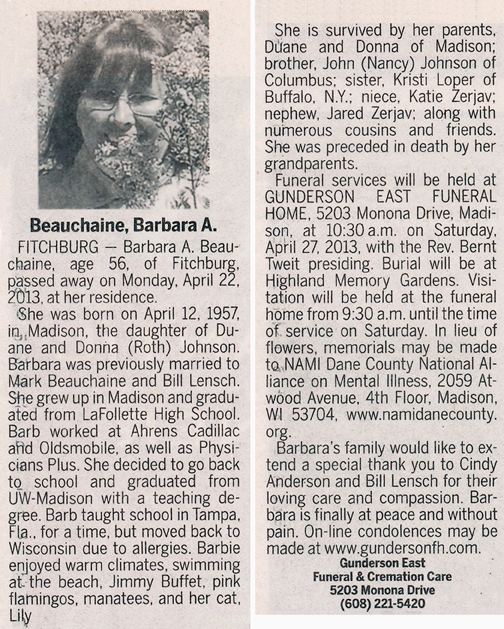 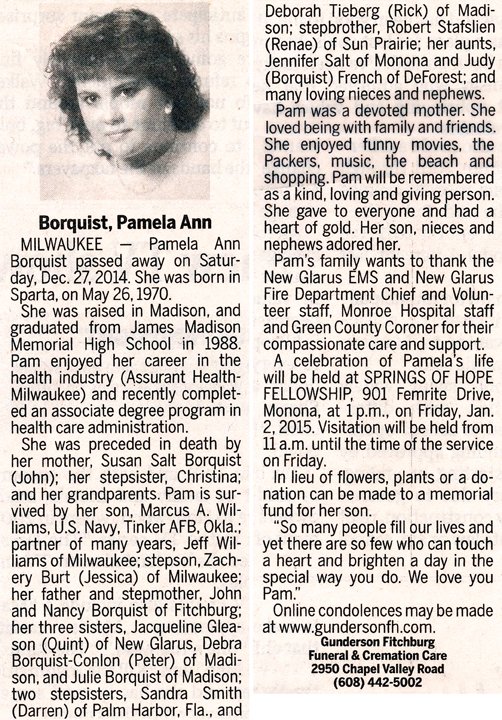 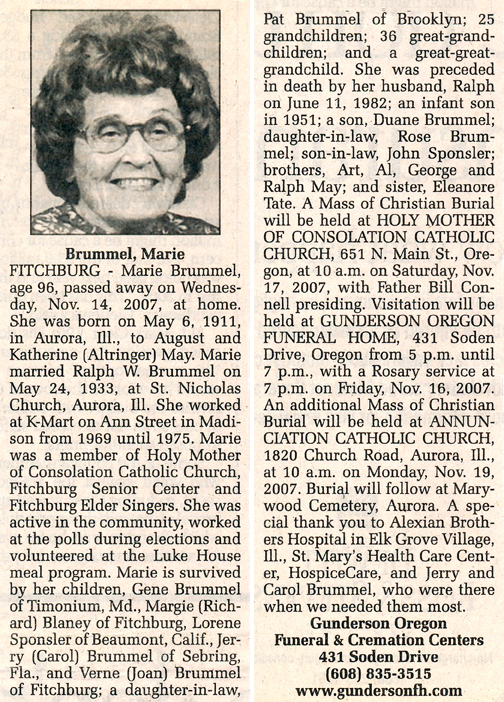 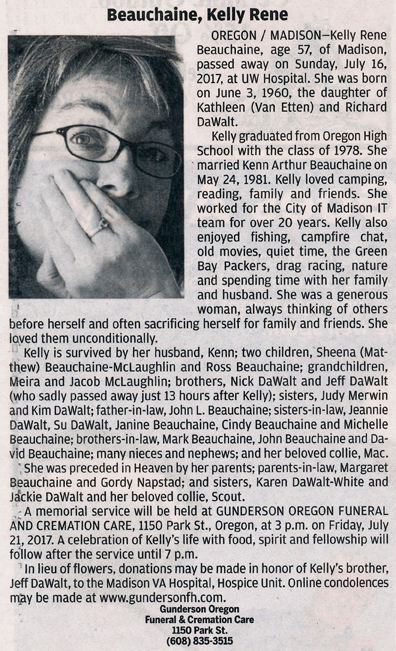 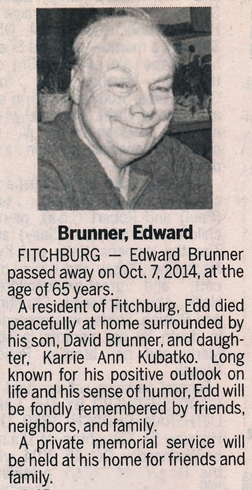 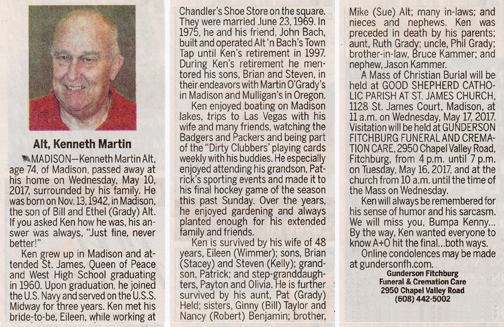 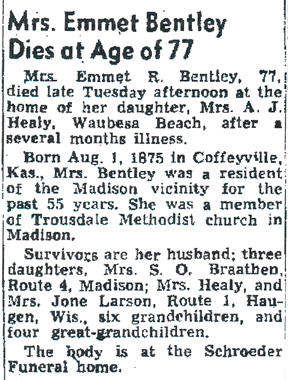 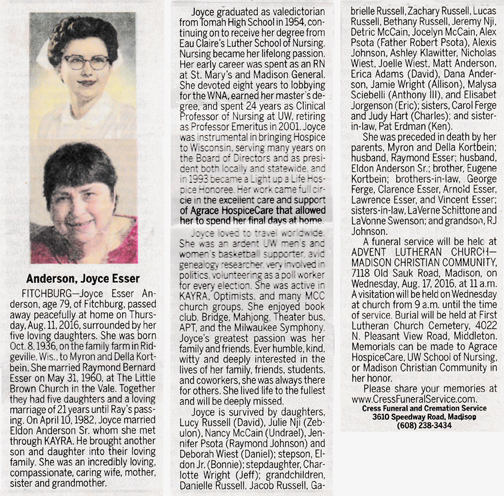 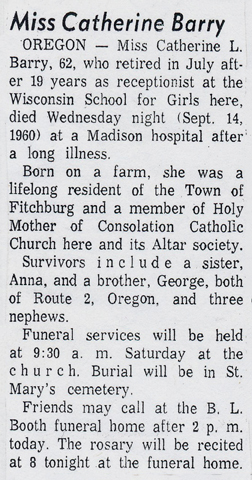 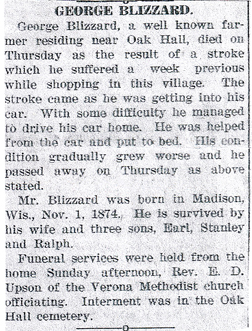 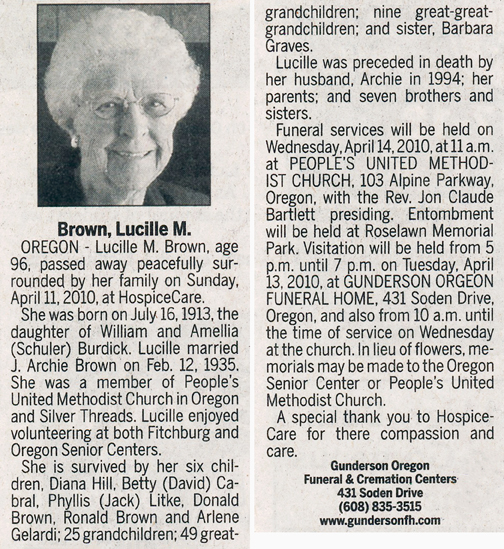 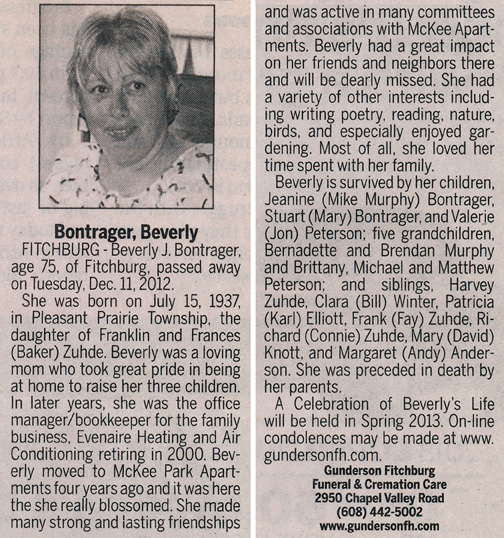 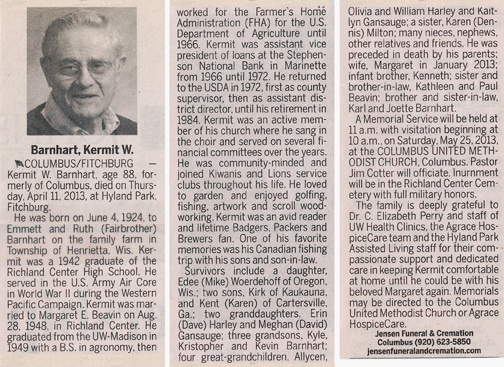 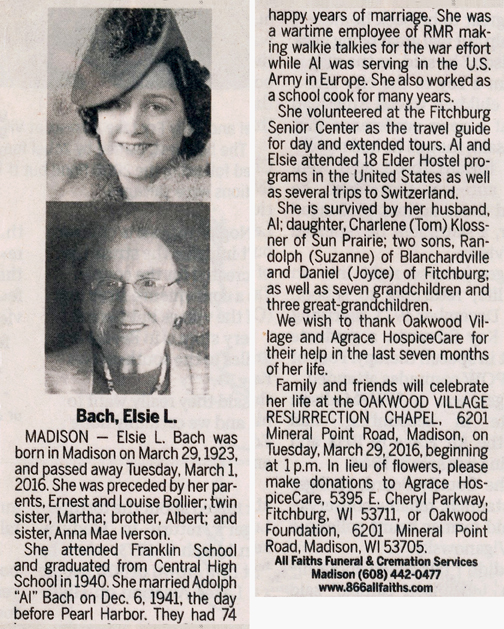 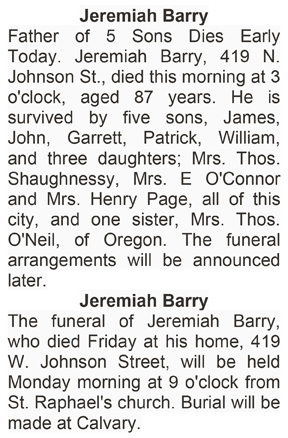 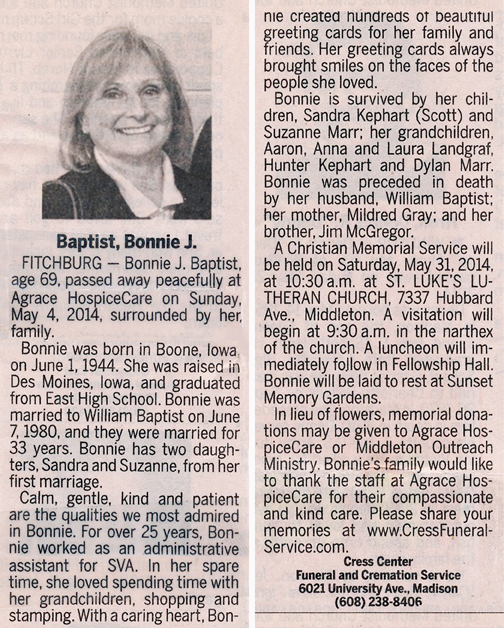 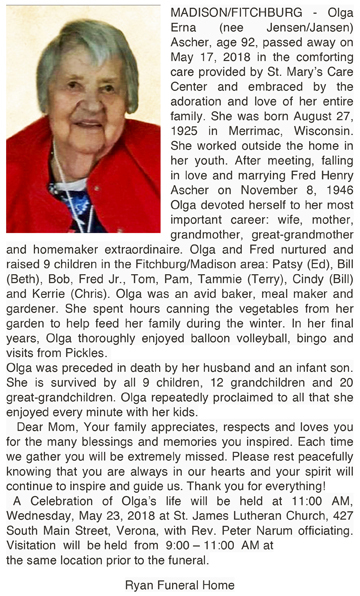 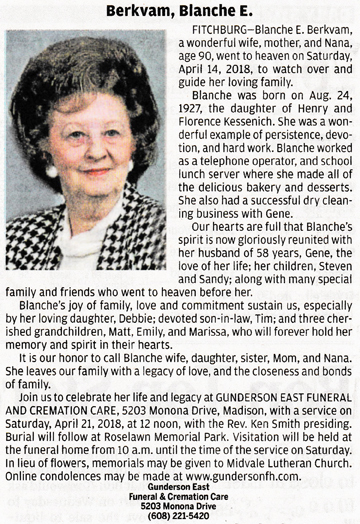 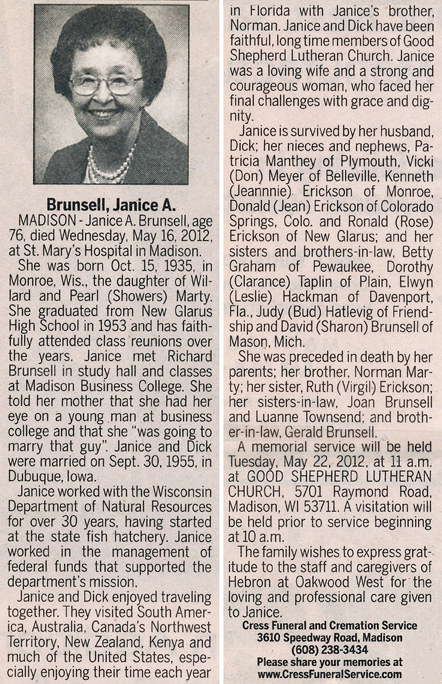 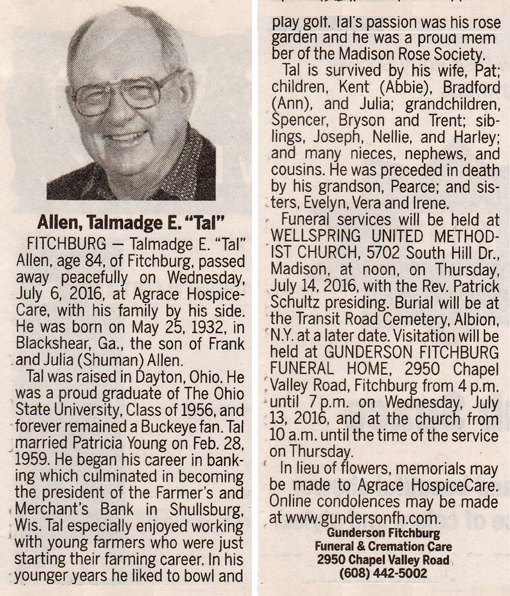 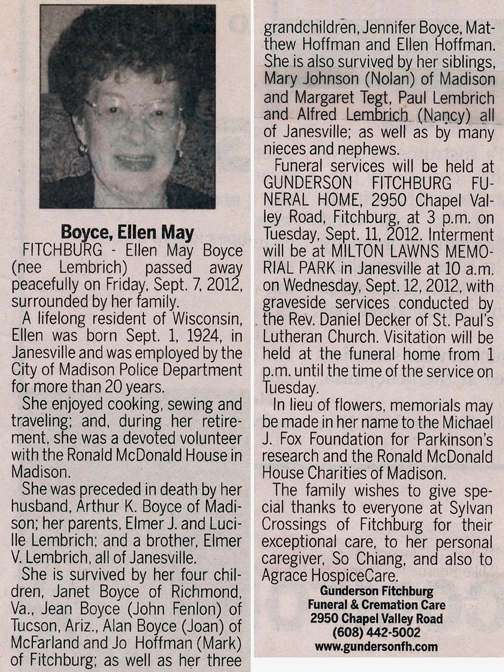 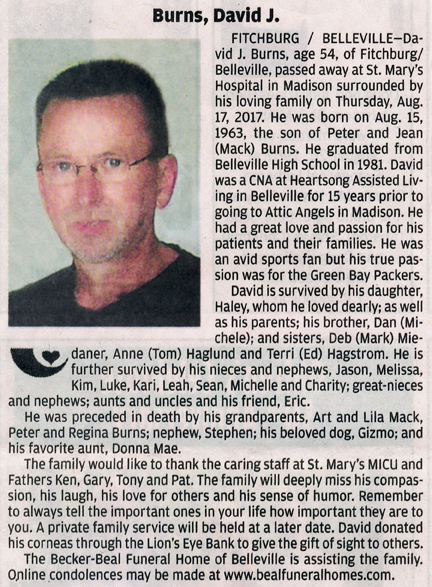 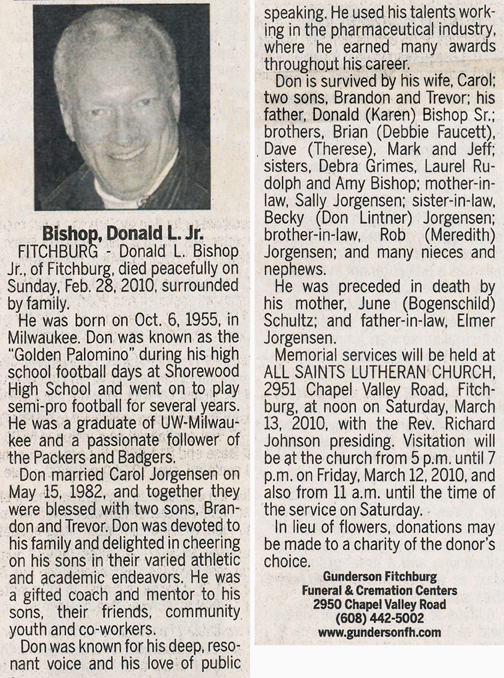 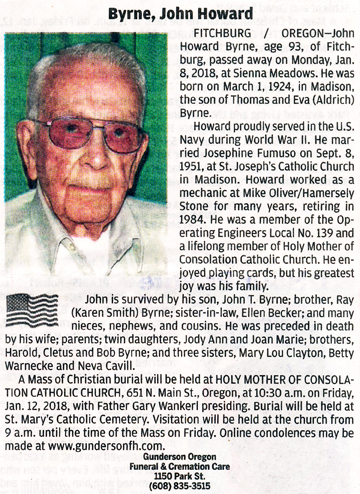 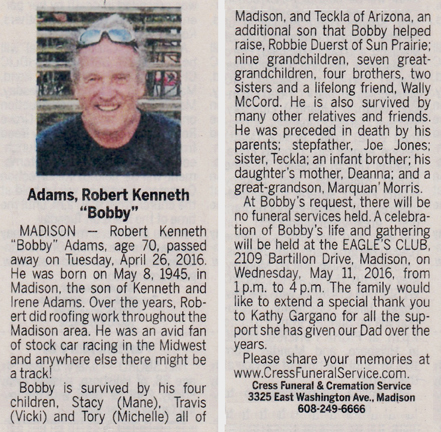 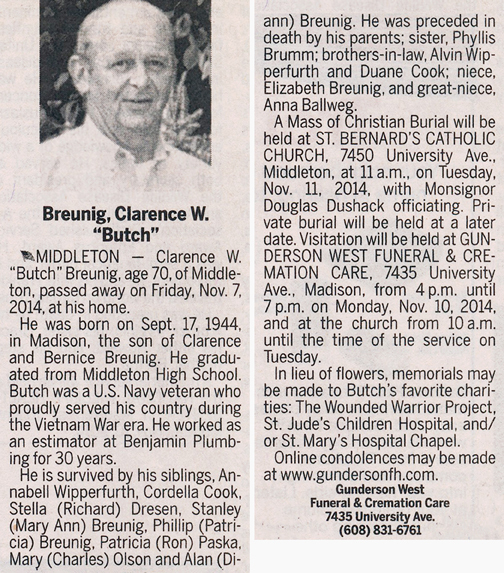 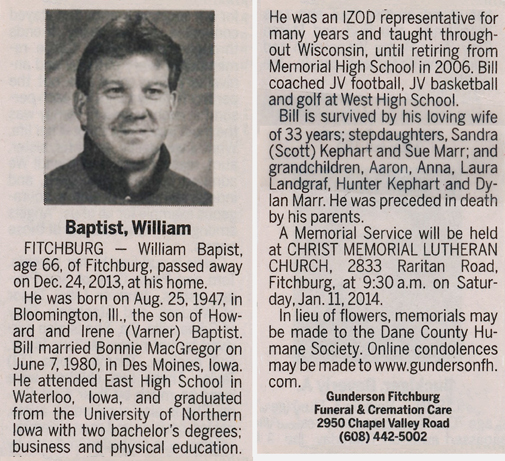 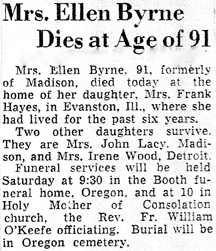 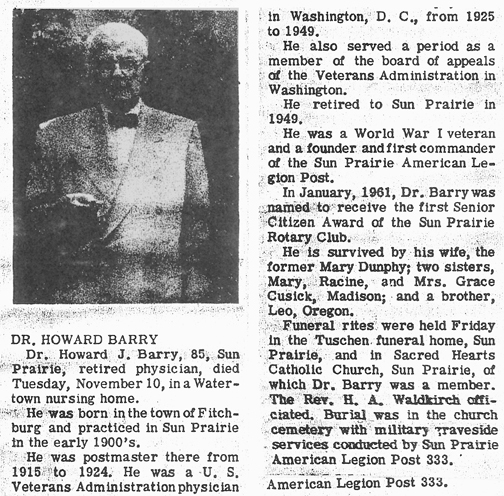 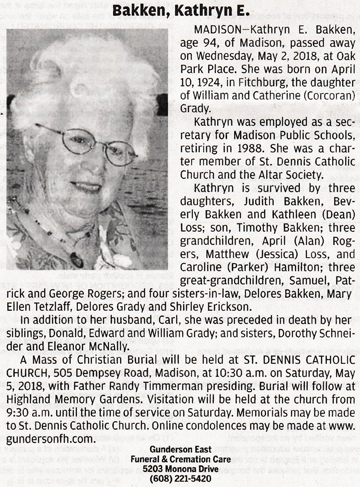 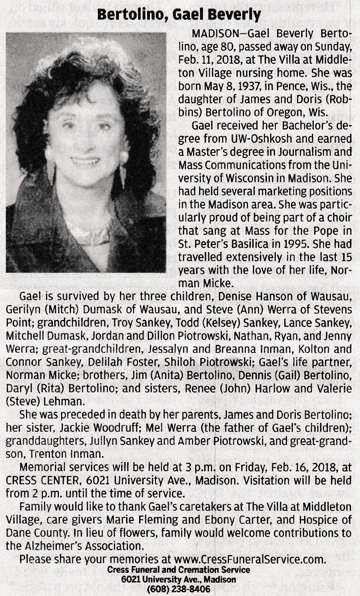 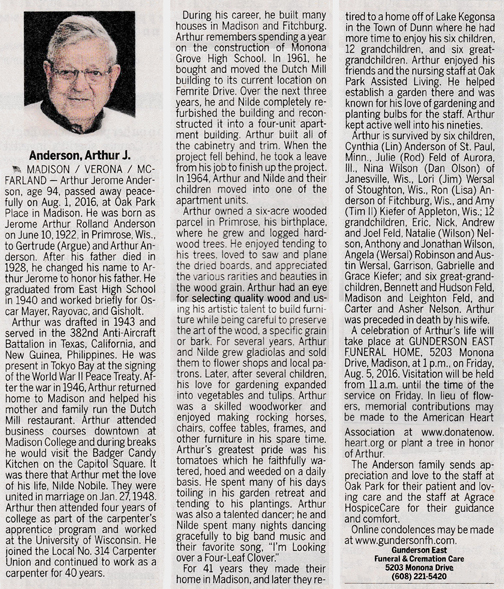 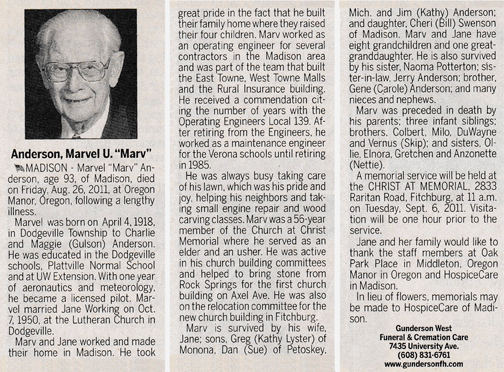 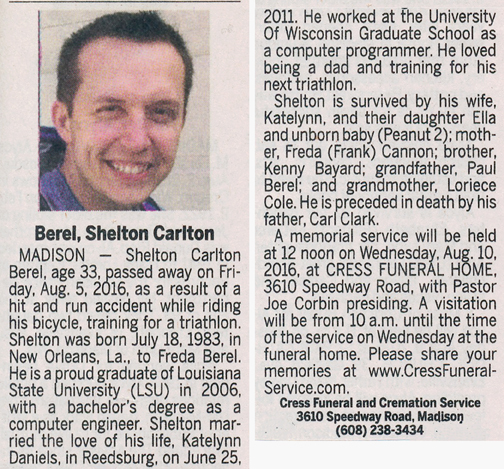 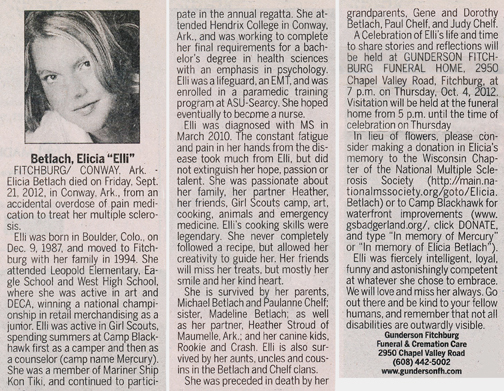 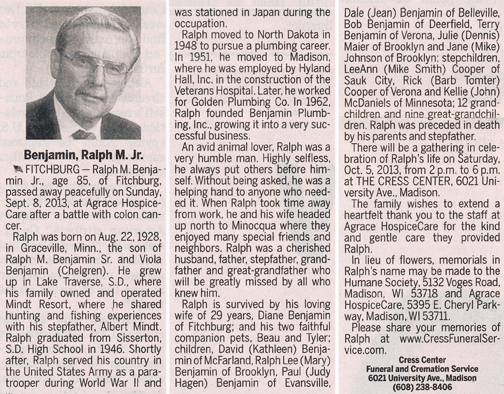 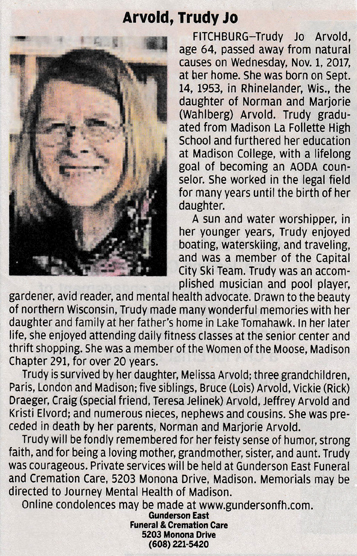 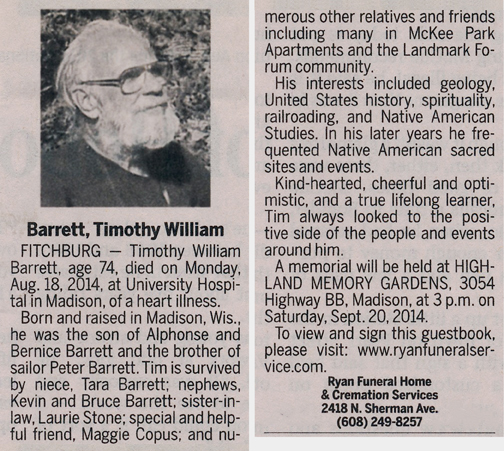 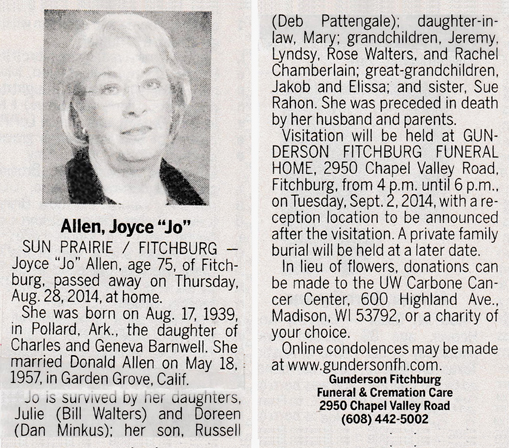 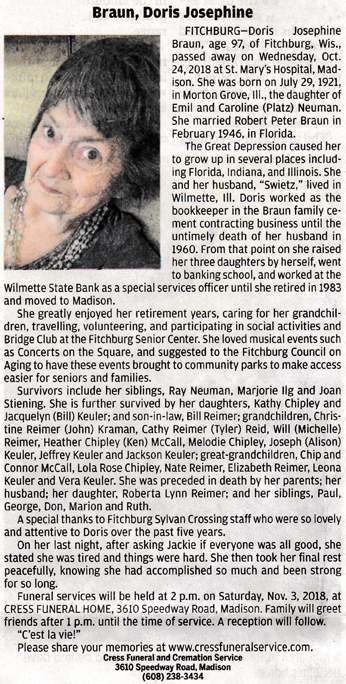 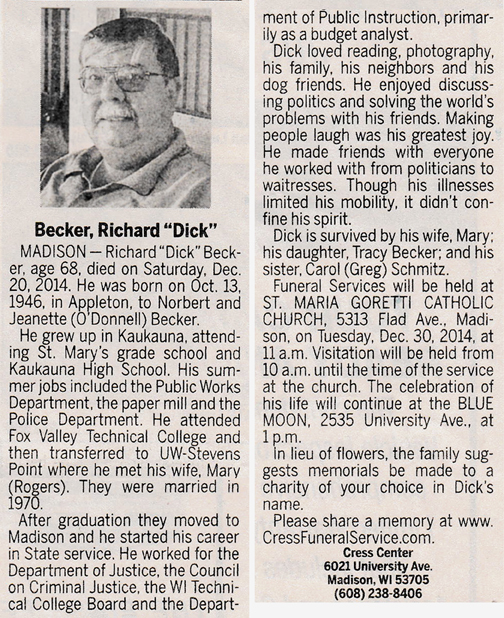 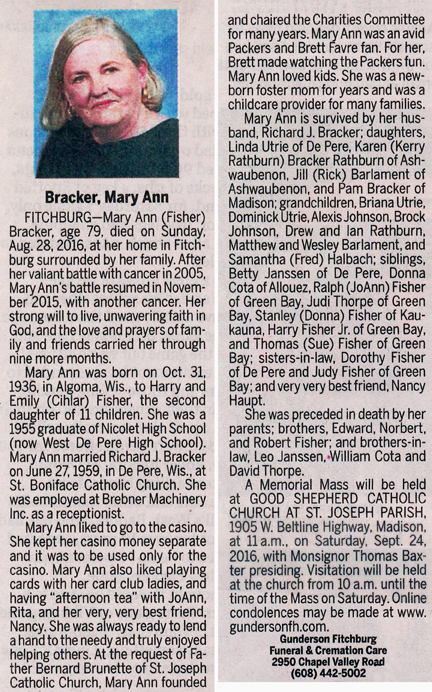 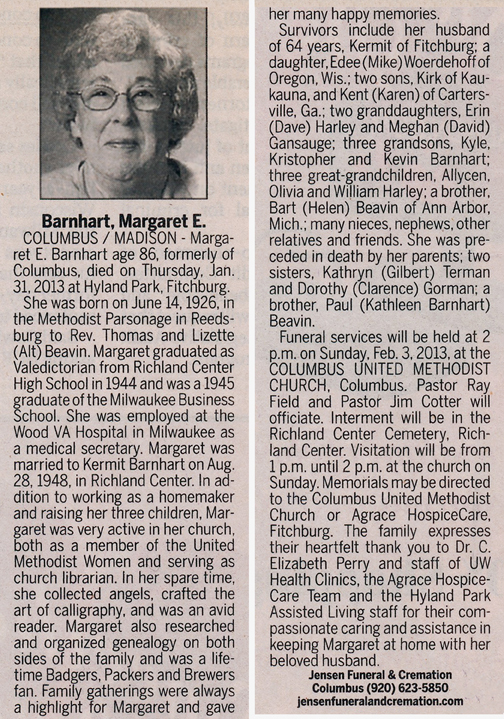 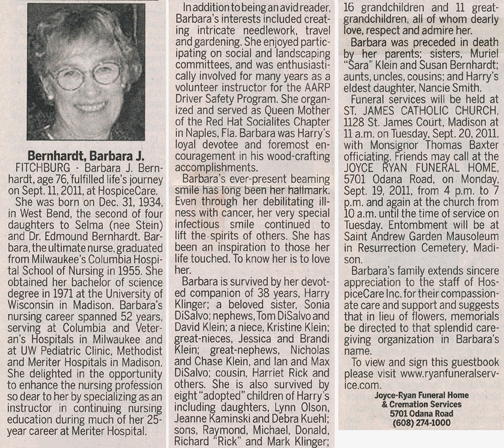 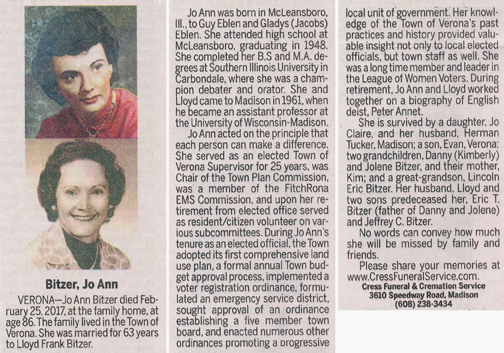 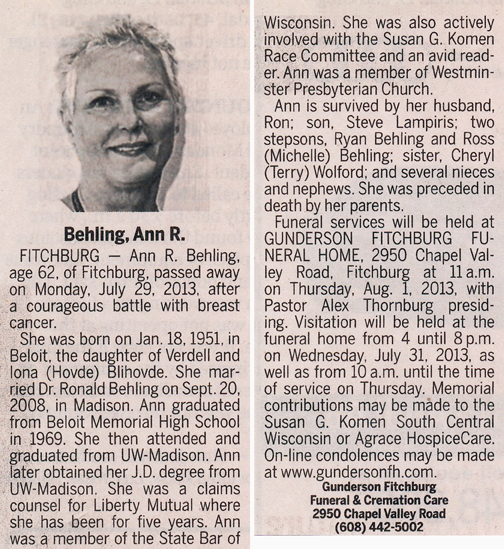 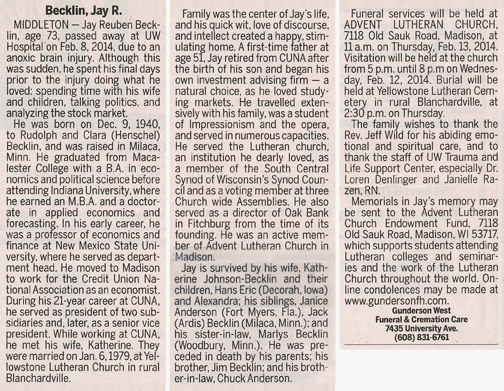 Click on these links to see the obituary image and cemetery information. 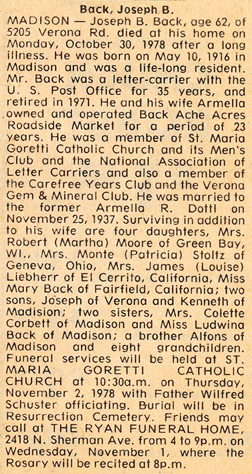 Use the back arrow on your browser to return to this webpage. 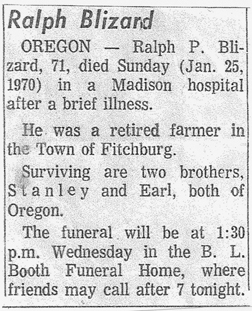 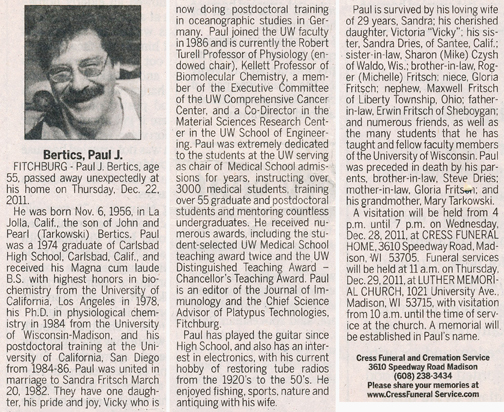 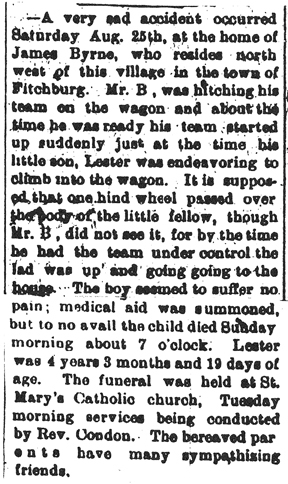 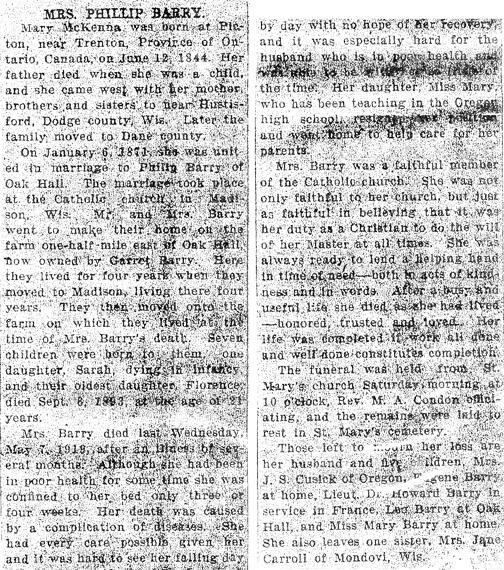 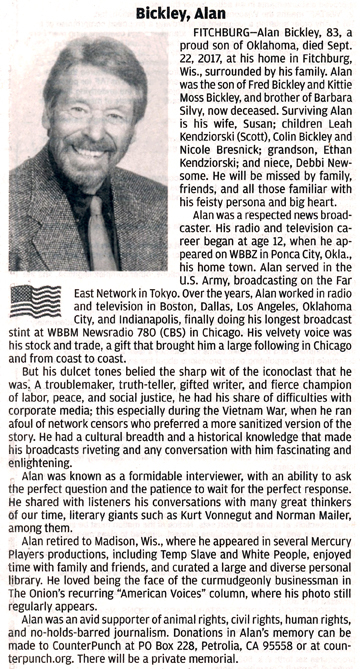 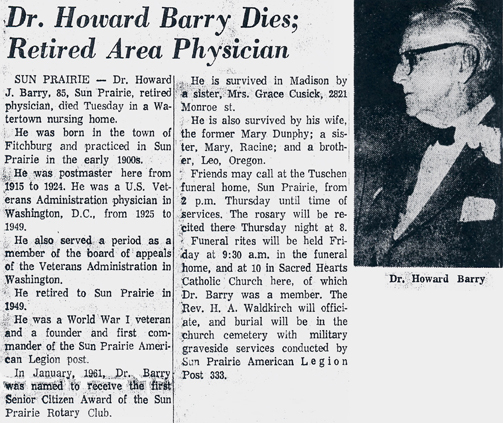 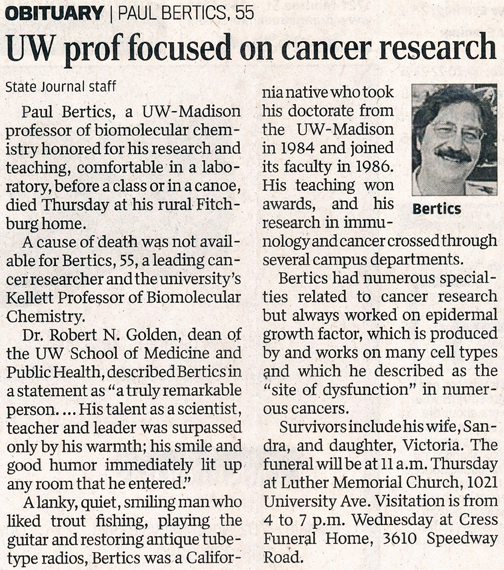 Some obituaries have been reformatted to provide better readability. 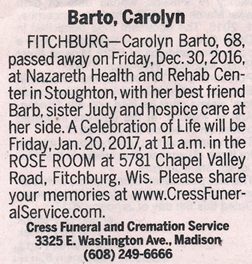 If you would like to see a hard copy of an obituary please contact us so we can make appropriate arrangements to show you or send you a copy of the obituary. 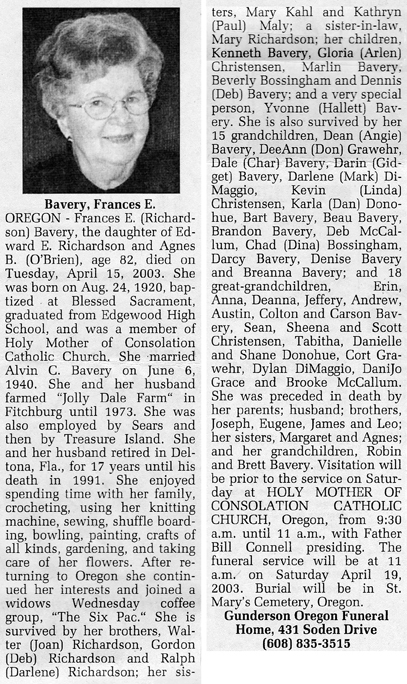 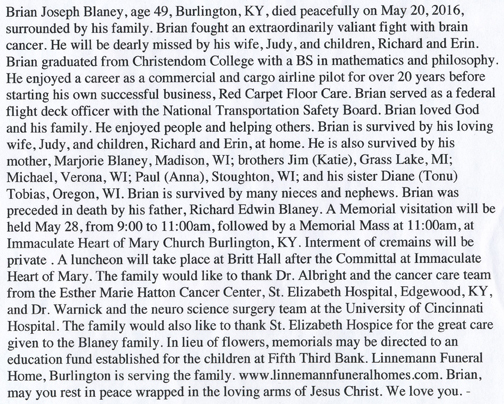 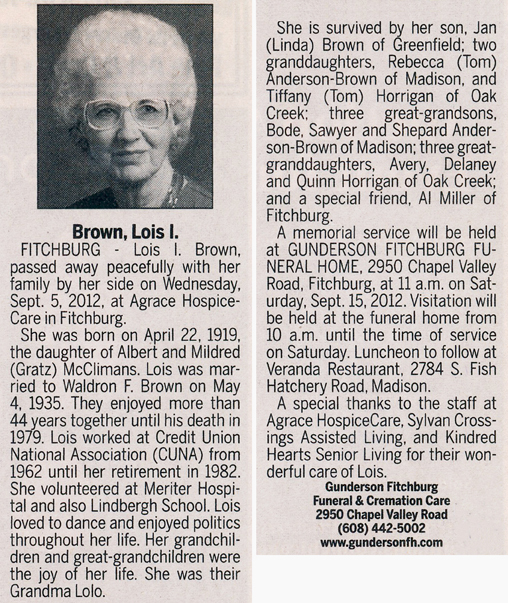 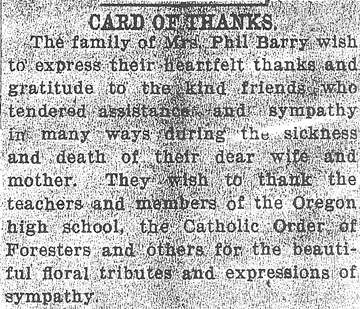 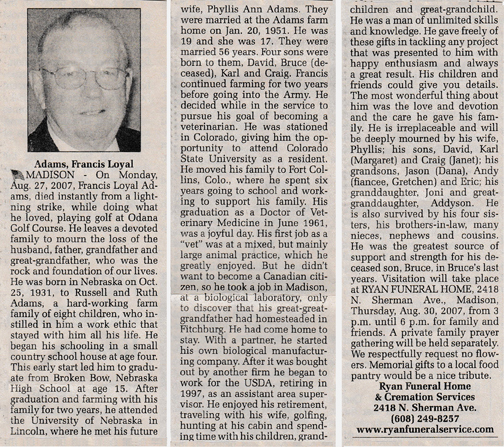 A list of all the names associated with an obituary can be searched in our FHS Obituary Database.